The 2018 natural rubber (abbr. NR) market carried on the downtrend from 2017 and kept declining. Whether the NR futures prices would drop below RMB 10,000/mt became the hot topic in the rubber industry. The price of RU 1809 dropped close to RMB 10,000/mt within the 2018, and it had been 2 years since the last time NR futures prices decreased below RMB 10,000/mt. With the NR prices hitting bottom again, the spontaneous adjustment in the rubber industry, the launch of TSR 20, and the conversion between the previous and current market driving forces were accelerated. Owing to the optimization of industrial structure, the industry profits in 2018 also improved continuously. Although the NR price remained at a low level, the manufactures managed to make up the deficits and get surpluses within the year, and the net profit of relevant downstream enterprises increased by 10%-20% Y-O-Y. As the structure of industry competition in recent years has shifted from decentralized competition to collectivized competition. The concentration and oligopoly of NR production and trading enterprises, the merger and reorganization of downstream rubber enterprises and the survival of the fittest have accelerated. The ability to resist market risks and price fluctuations has been strengthened. However, under the circumstances of policy, shift of inventory cycle and high peripheral risks, the NR industry is faced with a more complex environment, and the impact of the macro environment on NR market will be increasingly greater. SCI estimates that the NR market will fluctuate at lows for the next 5 years, which is from 2019-2023, and the value regression process will continue after a balance is reached between the supply and demand. 2018-2019 China Natural Rubber Annual Report will integrate the big data of NR market, including domestic and foreign official statistical data, customs data, industry authoritative data and historical data, etc., analyze NR market thoroughly, and build a three-dimensional market framework. 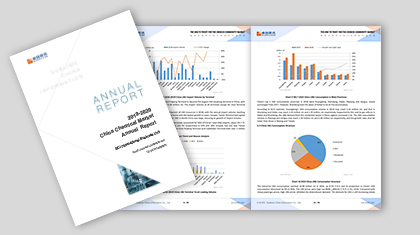 This annual report is based on serving manufacturing enterprises, traders, processing manufacturing enterprises and investors, reflecting the annual market trends, pointing out the price-driven factors, scientifically analyzing the future trends, and grasping the latest development opportunities in the industry. 1. To integrate the big data of NR market and comprehensively present the supply and demand pattern and the international influence of Chinese market. 2. To focus on the co-movement relationship between upstream and downstream data, compare the planting and production status in the major producing countries, visualize supply characteristics, and interpret the inventory changes and correlation research. 3. To conduct a detailed analysis of import dependence, elaborate the import trade mode and imported rubber variety and represent China’s NR import pattern. 4. To conduct a three-dimensional analysis of the demand market via more comprehensive and abundant downstream and terminal data, which can be traced to the specific enterprises. The NR downstream industry and the extension of industrial chain will be demonstrated. 5. To forecast the development of NR industry by using scientific analysis and research methods, multidimensional and modular combination analysis including supply, demand, macro-economy, policies and changes in substitution products, etc. 6. To analysis the market condition and peripheral environment of TSR 20 by additional researches on the hot topics, so as to help the market players understand new market changes and trends in advance.